Webpage’s that you open and files downloaded while you are incognito won’t be logged in your browsing and download histories; all new cookies are deleted after you close the incognito window. You can browse normally and in incognito mode at the same time by using separate windows. In spite of its cool quotient, what is missing for a lot of us is a way to launch the browser in incognito mode by default. The solution is not too far to seek as Google provides a command line switch which we can use. The incognito mode has its uses in public browsing where we don’t want to leave behind a trace of our activities. Among its other off hand uses is that it allows us to open different account sessions for the same website. For instance I can open two different talk sessions of Gmail Chat, one through the normal browser window and the other through the incognito one. This possibility extends to other web services too where one has two different accounts. Did you find this simple tip useful? 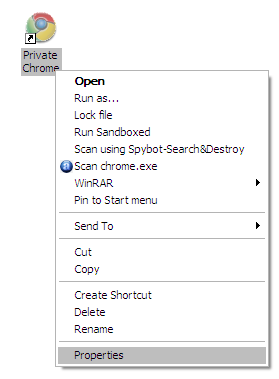 Any special reason you would want to launch Google Chrome in Incognito Mode by defualt? Let us know in the comments. "C:\Program Files\Google\Chrome\Application\chrome.exe" --incognito -- "%1"
well ,this worked and my chrome is starting in incognito mode . now, how to remove this ? like old normal start up in chrome ?? how about mozilla private window ? That came much later than Incognito. I think in 2015. "On the 'Target’ field add an –incognito to the end of program path. (Note: Make sure there is a space between the last apostrophe and the dash)"
First of all, what are you talking about, "apostrophe"? There is no apostrophe; you mean "quotation mark." There is no "dash," either. Dash and hyphen are not the same thing. Also, it's not "–incognito" as provided in the text. It's one or two hyphens: "-incognito" or "--incognito". Both work. But the dash provided in the text will not work. And I see the site has automatically replaced my own text with what it thinks should be there. It changed my own hyphens into a dash. Good stuff. No, really, great software you've got here. Good information. I am able to start it by default without the tabs I opened.!! Will I be able to open it with all the tabs I left when I closed it? Nope. By switching to incognito mode, you're asking your browser to not any keep local data. One workaround could be to use something like the Session Buddy extension and enable it to run in incognito mode. Have to try this and see, of course. Hi there, noob here so have patience? This used to work for me, but after I updated to Windows 10 (on a Surface Pro 3 if that matters? ), it stopped working. I'm on windows 7, and tried adding --incognito after the .exe". The same notice was shown. So I tried removing the " and just typed in, .exe --incognito. Hit the apply and ok buttons, and now its working fine. Useful, but unfortunately it doesn't make the incognito browser actually default. Only the shortcut is default. 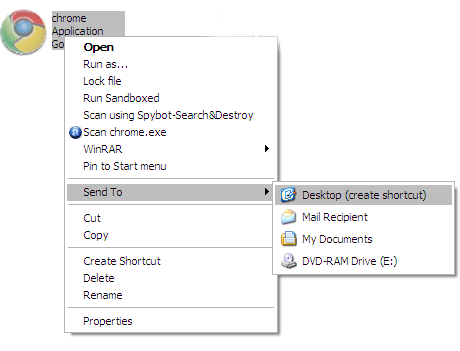 Meaning if you open links from a PDF or mail program (like Windows Live Mail) the links open a new window, which is not incognito rather than a new tab in your incognito window. Do you know how to make incognito the default for these types of links? I've been searching, but alas - no luck! True. Haven't found a solution for that yet. I was able to get incognito chrome to launch from links in other apps by changing the registry entry HKEY_CLASSES_ROOT\ChromeHTML\shell\open\command (Default) to "C:\Users\Todd\AppData\Local\Google\Chrome\Application\chrome.exe" -incognito -- "%1"
I was not able to set as per the instructions here. I was prompted that the path does not exist. Pls advise. Do check your installation location for Chrome. Maybe, the error is in the file path. How do you make google your homepage while in chrome so it doesn't come up with the whole "You've gone incognito" crap on it? As in it opens up Google.com? Thank you so much! I have been attempting to go incognito for some time and could not find an easy way to do it. The previous instructions I found on another site, neglected to say to create an icon and work from that area!! Thank you again. It doesn't come up in incognito for me. I think it's because I link my data so I can keep my bookmarks wherever I'm at. Good article. Exactly what I wanted to know. Now I'm incognito all the time and that makes me happy. Here's another thing you can do: When I went incognito, I though "shoot, I lost all my extensions." But, the fact is you can re-enable them in SETTING>EXTENSIONS and tick all the boxes that say ALLOW IN INCOGNITO MODE. Most extensions will work normally again. Can't imagine browsing without Ad-Blocker! True. But I like to enable just the critical ones in my case. Like LastPass. and Pocket. It's a flexibility that's very helpful. All you people are stupid. This works perfectly. Follow the directions and look at the pictures given. I copied the -incognito from your instructions; and it didn't work for me. When I tried to add another "-" I noticed the copied version from the webpage wasn't a "-" it was a 'endash' (not a hyphen). Maybe waveydavie did the same as me. i did it successfully in windows 7 and i used the double dash after the space. whoops, the comment joined the two dashes together, it's supposed to be double dashes. hmm i still haven't managed to get this to work with Windows 7, worked with Vista.. neither single or double dash with a space after chrome and in the target field! it worked for me and i used a double dash "--"
it worked for me do not use a double dash "--"
For those who like using keyboard shortcuts, you can use Windows Key + r key to "Run" an application. When the Run window dialog box pops up enter "chrome --incognito" (without quotes). This option is stored there as a recent application so it will be available next time. Some of my favorite shortcuts are "cmd" "notepad" and "calc". Enjoy! errrm, massive falps!.......Yay :) arf! It worked like magic. without any probs. Thanks for all the screen shots. A very useful article indeed. Well anyway, that fixed it. Doesn't work for me. It comes back "Oops! This link appears broken. DNS error - cannot find server." with "Try searching on Google: incognito p89d" with the URL "http://xn--incognito-p89d/"
I can't what I did wrong, any ideas? No, I got the plain old common or garden variety. It is exactly as you have it above except I renamed it differently and added a comment. It doesn't work for me either, Windows 8. This is what I get: The server at xn--incognito-p89d can't be found, because the DNS lookup failed. DNS is the network service that translates a website's name to its Internet address. This error is most often caused by having no connection to the Internet or a misconfigured network. 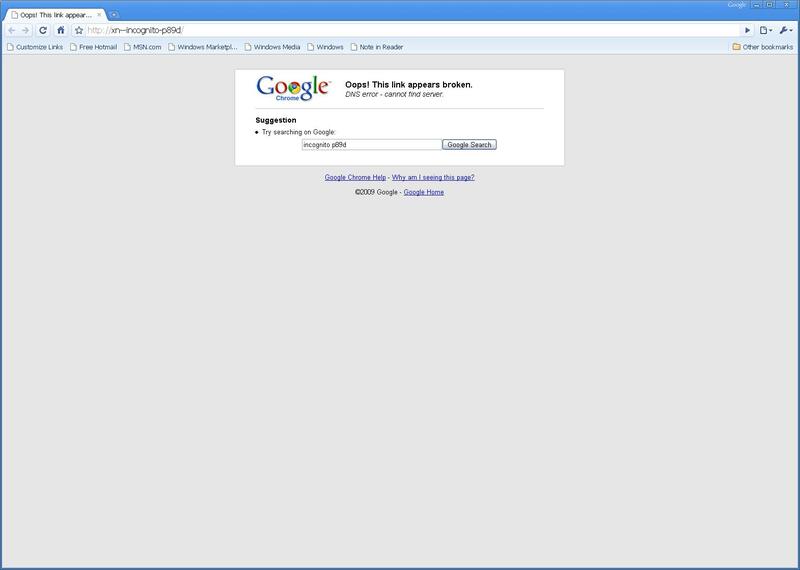 It can also be caused by an unresponsive DNS server or a firewall preventing Google Chrome from accessing the network. Sorry Hank...that's a typo on my part probably through an auto-correct that I missed. Surely Google doesn't say "webpage's" when they mean the plural "webpages."